1. In Beyond Quality in Early Childhood Education and Care Dahlberg, Moss and Pence analyse and evaluate pedagogy in the Early Years and ask the question “what do we mean when we say quality?” This is a particularly valuable book because it draws on many aspects of Early Years practice, including ethics, as well as introducing ideas from around the world. As a third year student the wide range of ideas and perspective will be beneficial in forming more rounded and complete arguments. It will also make you interrogate anyone who blandly states that a setting is a ‘quality setting’! 2. Staying with the ideas of critical reflection, the next book I would recommend is a brand new one from Critical Publishing. As the name suggests, this publishing house specialises in books that critique their subject matter, giving you a critical analysis. My current favourite is by Hayes et al. 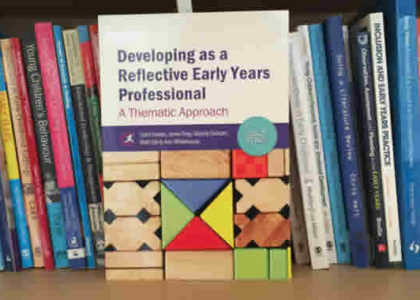 called Developing as a Reflective Early Years Professional (see here for a more detailed book review). This book has a wide range of subject matter, from professional love to racism to global perspectives, which would be useful for a number of different modules or units at University. There are a number of good titles coming from Critical Publishing, so do keep an eye on their website for new books. 3. Glenda MacNaughton’s Doing Foucault is a classic text and well worth a read. She explores Foucault’s ideas on Power, Knowledge and ‘truth’. Just reading this book will make you reflect and consider things you have taken for granted in a very different way. The philosophies and concepts will be useful throughout the whole of the third year. 4. The next book I would recommend is more specific: Diversity and Difference by Robinson and Jones Diaz. This book takes a critical look at diversity in all its forms. There are some wonderfully challenging perspectives, using concepts such as post-structuralism, post colonialism and feminism. 5. I have very mixed feelings about my final recommendation. 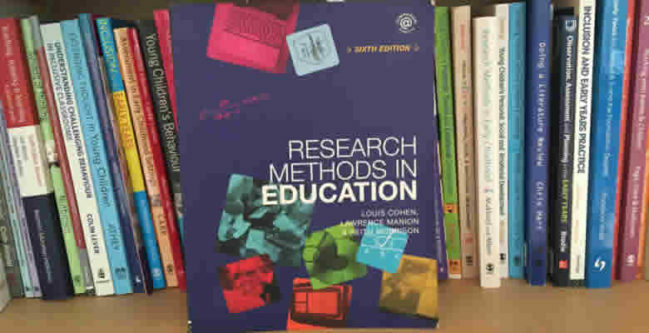 ‘Cohen, Manion and Morrison‘ was constantly by my side when I was studying, because it has everything you will ever need to know about research methods. However, this also makes it a very dense, and sometimes frustrating, read when you are trying to find something specific. 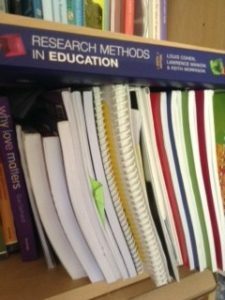 On balance, it is a book that you will find very useful and will save you having to get dozens of research books out of the library. There are, undoubtedly, plenty of other Level 6 books out there that I’ve not mentioned, that will support your studies and expand your thinking. So which books would you recommend? Excellent choices, Kathy. Students will find your recommendations and reviews helpful. Very thoughtful & supportive for everyone both students and practitioners as early years is a growing concern, every information for better practice is highly commendable.